For those of you that didn't manage to make it to the meeting your Hon. Sec managed to get a few snaps whilst at the AGM at Watford. As usual the coverage is far from complete and more shots will appear in the May newsletter. Acton Friars is under construction by the Bevis-Smiths. 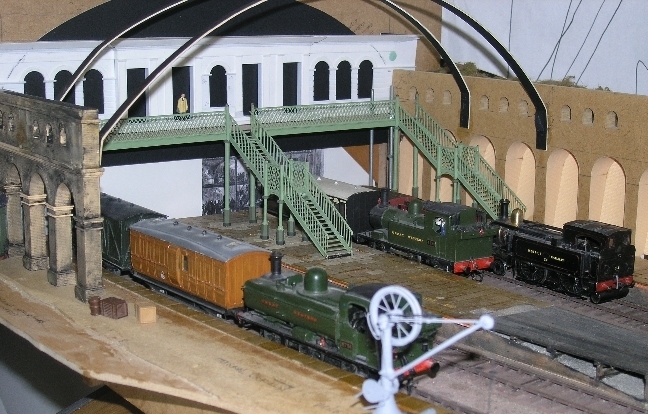 Motive power for "Grove Ferry Junction" under construction. Any resemblance to "Gladstone" from "Oh Mr. Porter!" is not coincidental. 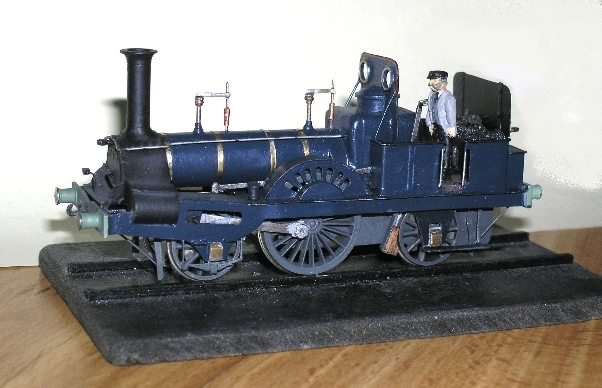 The part of "Gladstone" in the film was played by KESR 2-4-0T "Northiam". 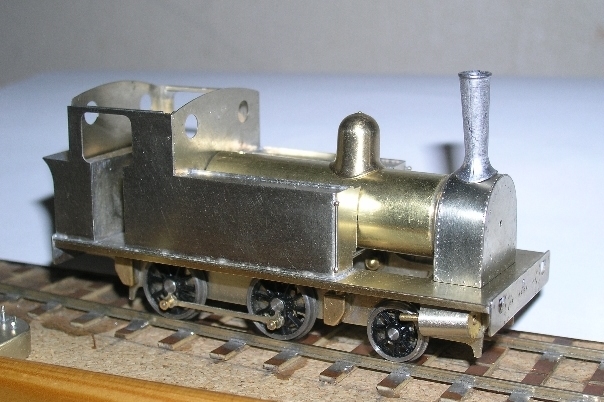 This model will soon have a starting role on Robin Fielding's new layout. Another quaint old loco. This time by Andrew Townley.